Home Customization SharePoint 2016 How to Add a Custom Tile to SharePoint 2016 App Launcher? How to Add a Custom Tile to SharePoint 2016 App Launcher? 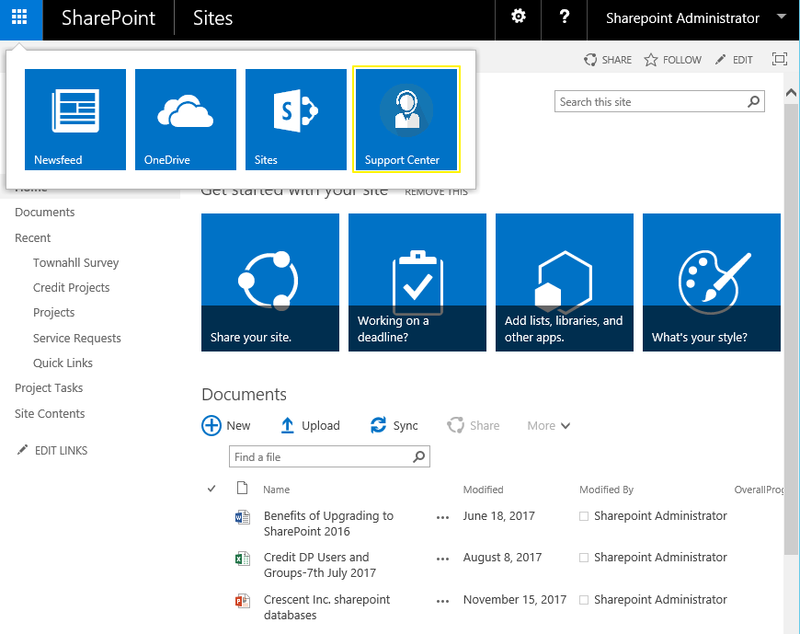 Requirement: Add new tile to App Launcher in SharePoint Online. We wanted to place a new tile in SharePoint 2016 app launcher for support center site, as an end-user usability improvement. 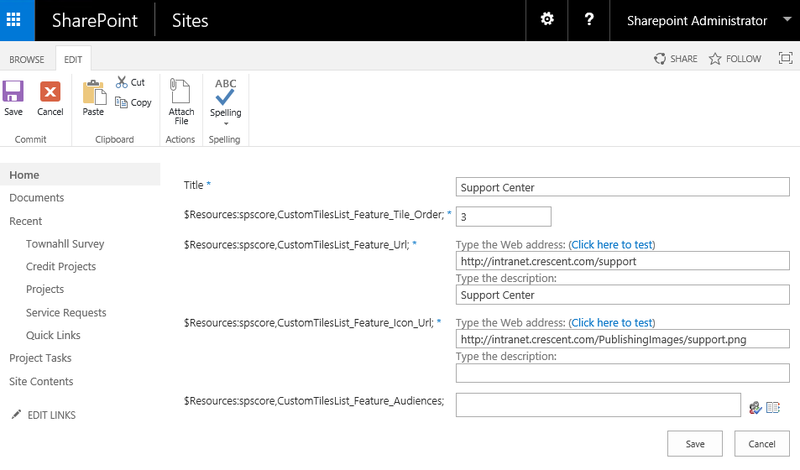 SharePoint 2016 Feature Pack 1 brought us the capability to add new tile to app launcher. Here is how you can customize SharePoint 2016 App launcher. Use this PowerShell script to enable custom tiles feature. This creates a new list "Custom Tiles" in the given web application's root site collection. Once the feature is activated, navigate to: http://intranet.crescent.com/Lists/Custom%20Tiles/AllItems.aspx URL and add a new entry with desired URL and image for tile for your custom tile. Please note, this list is hidden from browser interface, so you should use the link to directly in the browser to navigate to the list. It may take up to 24 hours for the new tile to reflect. Clear your browser cache, or open the browser in Private mode to see the new tile in action. Does this work with Host Name Site Collections ?